If you are looking for a coworking space in Dallas, you are at the right page. Based in north of Texas, Dallas is the 3rd most populous city in Texas and 9th in the United States. It is considered as a rich city as it is home to 14 Billionaires making it rank 6th worldwide among cities with most Billionaires. The high rental of commercial properties in Dallas is easily giving way to shared offices. 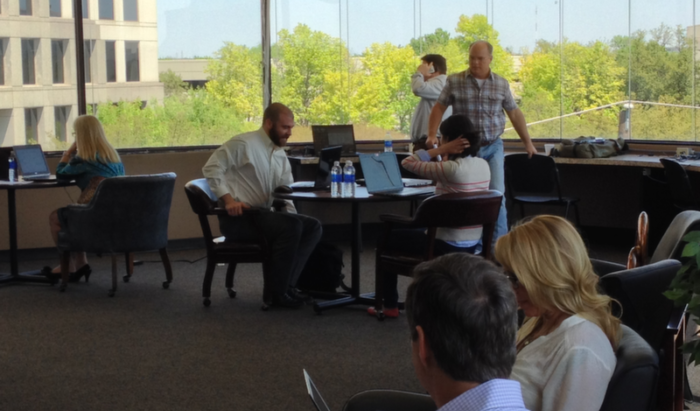 A number of startups and budding entrepreneurs operate from coworking spaces in Dallas. The trend of coworking picked up in Dallas at an early stage. Today, the city has over 40 coworking spaces spread across the most premium locations and iconic buildings. 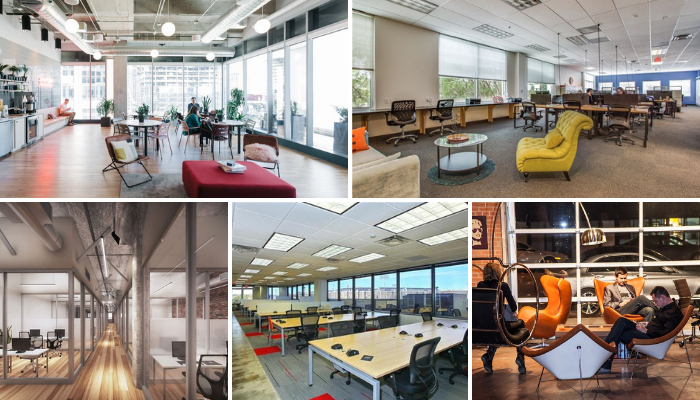 You can browse through Dallas most awesome coworking spaces below. To help out our readers, we have mentioned the pricing plans, location and the amenities at each of these spaces. With 7 locations in Dallas, Common Desk is one of the most popular coworking spaces in Dallas. Their locations range from Addison to Fort Worth and from Granite Park to Plano, covering almost the entire Dallas area. Not just for spreading its wings all around the city, Common Desk is also known for all the amenities required by an exclusive office. These include the mail service, reception desks, printing facilities, conference rooms, and above you can eat whatever you want and whenever you want. It’s an open buffet people, and if you gulp down too much for the day, the treadmill desk sits eloquently waiting for you to climb on. The pricing structure varies as per your requirements. The Hospitality suite will cost $7500 for a month, but it will nothing short than an standard office space. Added to this you can choose from many Private offices starting from $900 per month. The dedicated desks come at an affordable $450 per month and the shared desks cost $225 for one month. The night crawlers and weekend workers can enjoy the workspace for $150 per month. Location: Presently you can find common desk in four locations which are Deep Ellum 2919 Commerce Street, Dallas Texas; and Oak Cliff, 633 W Davis Street, Dallas Texas. 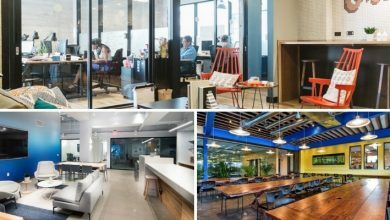 Apart from these 4, three more common desk coworking spaces are coming up in Dallas areas of Addison, Factory SIXO3 and Trammel Crow Center. A city which is recognized by fast growing entrepreneurial ventures and budding young tech-savvy enthusiasts is further complemented with the Industrious coworking spaces. The emerging business friendly climate in the city has Industrious as one of the most sought after coworking spaces in Dallas. The amenities at Industrious coworking Dallas include free high speed internet, conference rooms, lounges and coffee bar, power nap rooms and most importantly they have free printing services. 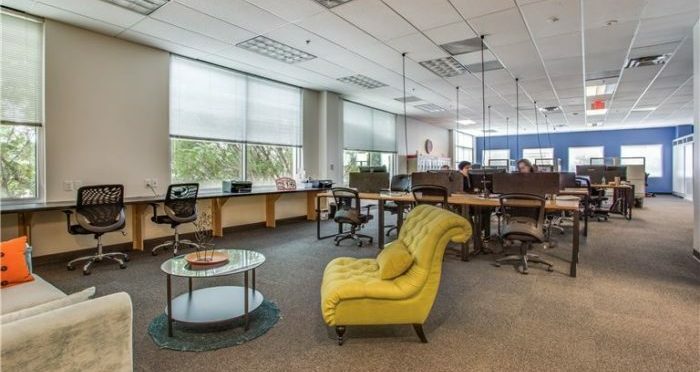 For a flexi desk space the rates start from $522 for a month and if you are looking for private offices in the midst of an inspiring community of freelancers and organizational employees the rates start from $833 incrementing with each consecutive employee. 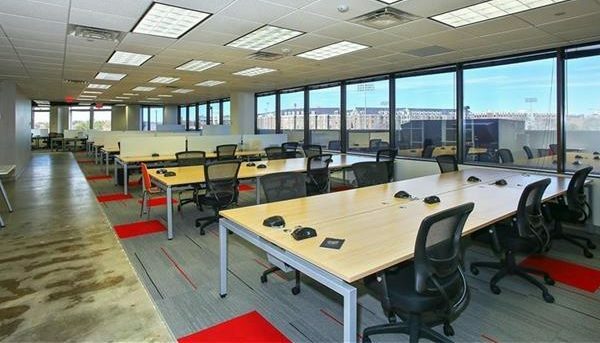 Location: The Dallas location of Industrious coworking spaces is found at 1722, Routh Street Suite 900 Dallas Texas. The tagline of Genius Den runs “every company needs office space, every startup needs a home”. It is indeed true, as the Genius Den offers integrative and robust offices spaces and a grooming culture among other coworking spaces in Dallas. From remote member subscriptions to private office spaces, one can choose from among various desk space options. At Genius Den one can find skyrocketing internet speed @1 GB per second, and a charming beer, wine and coffee lounge. There are breakout meeting lounges and state of the art conference rooms. For extras Genius Den also provides their rooftop for events and parties. The remote member who has only virtual access to the coworking space needs to pay $50 per month or $500 for the whole year. Added to this there are shared and dedicated desks, both starting from $200/ month and $400/month respectively. The private offices with the capacity of 4 or more than 4 people starts from $1000 for a month and can go till $2000 per month. Location: Wanna check it out, call an Uber for @3106 Commerce Street Dallas, Texas. For starters there is free coffee, and I guess this is enough to choose Nod Coworking space in Dallas for your freelancing, startup or private office needs. The collaborative culture in nod coworking allows for a grooming culture and gives a perfect opportunity for networking. Amenities: along with free coffee one cal also enjoy the ping pong tables, printing facilities, chill out areas, free parking, lockers and varied seating options. There are meeting rooms, conference rooms and exclusive rental spaces. As for pricing the day passes would cost $20, the full time membership starts from $177 per month for shared desk spaces, for full time dedicated desks they charge $280 for a month and the private office membership will cost $635 per month. The conference room rates start from $100 for an hour to $500 for the whole day. Address: The nod coworking office space is located at 17290 Preston Road #300, Dallas, Texas. Contact: Need some more info? Call them at 972-590-0225 or drop an email at info@nodDFW.com. Have you ever seen an office which is open for 365 days of the year, well, presenting the Fort Work coworking spaces in Dallas. The Fort work community is the personification of togetherness and efficient services at your disposal. Amenities: the basic amenities include high speed internet, free coffee, snacks and tea. They have conference rooms, and mailing availability. Pricing: You can choose from three desk spaces at Fort Work, these include the flex desk shared coworking space costing about $125 a month. For lone riders they have the dedicated desk spaces costing $200 for a month and the magnifico private offices come at an affordable price of $600 per month. Location: You can find Fort Work at 221 N Ervay Street, Dallas. The serendipity labs exudes uniqueness because of its work, live and play attribute. The large boardrooms and event spaces makes it the most sought after coworking space in Dallas. 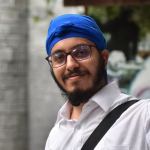 The culture of this coworking space attracts most of its members and under its inspiring abode many freelancers and entrepreneurs have found a ray of hope towards success. 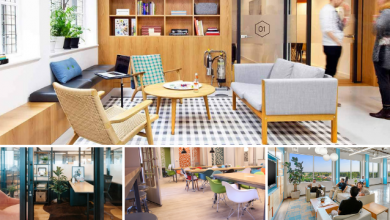 They have everything an office employee desires, from high security enterprise solutions to entertainment and infotainment spaces, the serendipity labs represents the true nature what a coworking space should be. You can also enjoy coffee, snacks and printing facilities. The coworking desks range from $49 to $299 per month depending upon the number of visits. For dedicated desk space you need to lighten only $399 per month, and lastly the monthly subscription price for dedicated offices and team rooms vary between $850 and goes till $2,999. Location: looking for some inspiration? Well, just pop in at 2323 Ross avenue, floors 1st and 17th, Dallas, Texas. Contact: You can also talk to the at 214 974 4045, or inbox them at dallas.ha@serendipitylabs.com. Have you ever looked forward to go to the office on Mondays? Most probably, no. The WeWork Coworking space Dallas is going to change that. 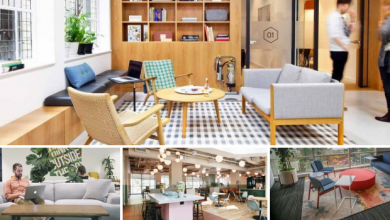 They have the most beautiful offices and coworking spaces, that is why WeWork is known for transcending the workspace culture all over the city. 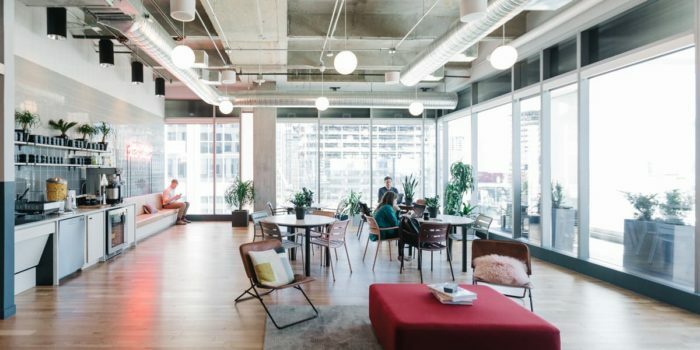 WeWork Dallas focuses on providing a enabling environment to their members, internet and coffee has become a norm in every coworking space. Apart from this they have global connectivity platforms, private phone booths, mailing services and industrial grade printing facilitation. At WeWork you can also set up your office HQ with which will exclusively be filled with your staff only. For others spaces like shared, dedicated and private offices you need to shed $350, $500 and $700 every month. 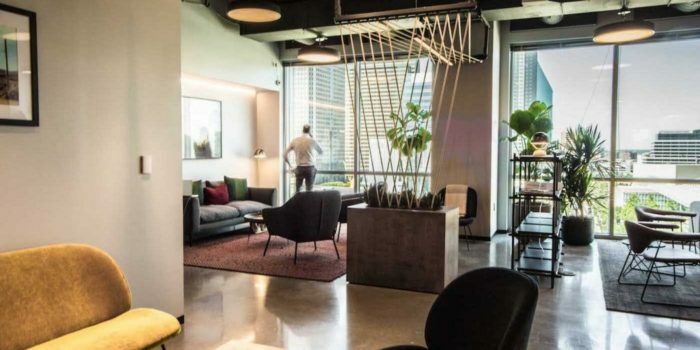 Location: WeWork can be found in three locations at Dallas. Contact: you can call them at the toll free number 1800 123 365 365. Just as we need money to make more money, success also needs success to reach on a higher pedestal. Spaces originated in Amsterdam and has projected an effective image in the city. 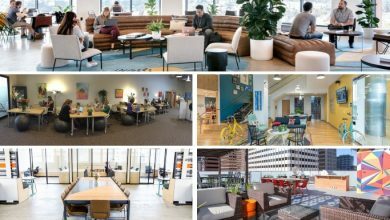 It is not just any place to plug in and stary dribbling with the keyboard, rather the entrepreneurial environment of spaces makes it the most sought after coworking space in Dallas. Spaces offers a unique mix of basic necessities in an office combined with some effective features. Its Think out of the box toolkit has been identified with inspiring the users to be creative and develop surprising ideas. They also give expert technical support to help you in an unprecedented situation. You can also have access various professional meeting rooms. Location: 1919 Mckinney Avenue, 100 & 200 Dallas, Texas, United States. Contact: You can also call them on 214 692 2800. Every business to be successful needs a mentor who can steer it in the right direction. Well, you can have a chat with a number of mentors at the Addison Treehouse. Their mentorship program connects the budding entrepreneurs with seasoned mentors who are there to give them counsel and advice. Amenities: Beer and Coffee. 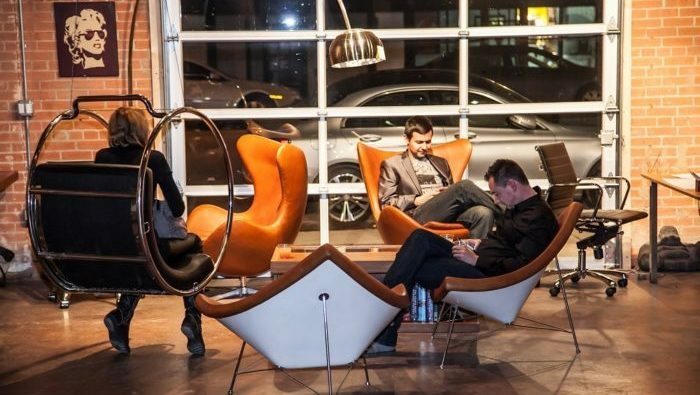 Aren’t you convinced yet, it is indeed Dallas best coworking space. Well, there are plenty of amenities at your disposal at addison treehouse including 24*7 access, internet, printing, snacks, and Slack Communication. 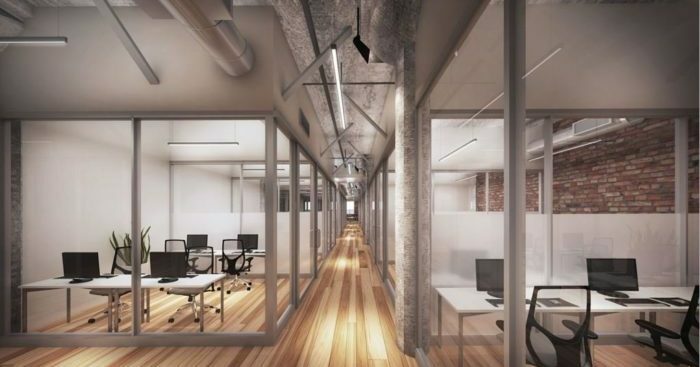 Pricing: you can choose from among the three coworking spaces, the virtual membership comes at an affordable price of $75 per month, added to this the coworking and dedicated spaces will cost $200 and $300 for a month respectively. Also called as DEC, the Addison Treehouse coworking space is a part of the DEC group. It has all the amenities similar to the Addison Treehouse. Along with the mentorship programs, the DEC also acts as an incubator for fresh startups and helps them acquire the much needed funding. Amenities: the amenities are similar to the Addison Treehouse, but what makes it different from other coworking spaces in Dallas is its dedicated mentors who are there to guide the young entrepreneurs in starting a new venture. Pricing: the shared coworking desks will cost $200 per month for one seat and the dedicated desk space members can enjoy the community culture after paying $300 every month. Location: 3102 Oak Lane Avenue, Suite 109 Dallas, Texas. Community, collaboration, enhancement, productivity, and convenience. These 5 words aptly describe Headspace Dallas, a prominentcoworking space in the city. The headspace is open 24*7 and provide an enabling culture to every budding entrepreneur and freelancer. Amenities: the most basic amenities include free parking, conference rooms, high speed internet, printer and scanners. Now, for the fun part they have a kitchen, unlimited caffeine, and various free utilities. Pricing: the headspace is an affordable coworking space. The virtual desk starts at only $30 per month. The shared desk spaces start from $199 and the dedicated spaces start from $299. You can also subscribe to private office from $999 per month with rates climbing up till $1850 per month with progressive services. Location: Head straight to 4100 Midway Road Suite 2120 in Carrollton, Texas to become a member of Headspace Dallas. Contact: Just dial 972 695 9350 and ask anything you like about your upcoming office space. Or email them at hello@headspacedallas.com. 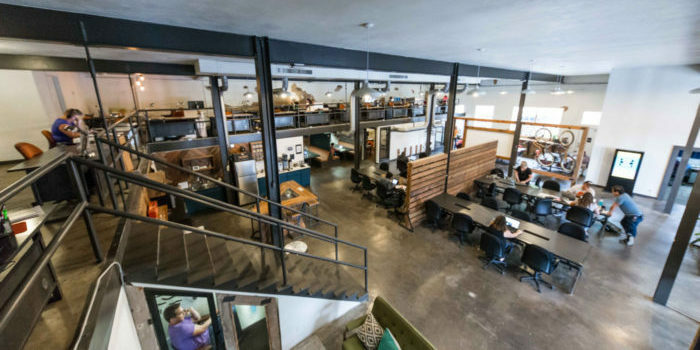 Another well-known coworking space in Dallas, The foundry club has a unique set of features like business innovative programs and acts as a startup incubator by providing financial services its members. The only downpoint is that it is closed on weekends, and shuts down every day at 5 PM. Work with a high speed internet or chill out in the lounge area with a free cup of coffee or water, foundry takes care of its members efficiently. Print, scan and copy your documents on-site and to store your chattels, you can have access to a personal locker. Pricing: a shared desk membership will come at $275 per month and that for a dedicated desk will come at $400 per month. Added to them, you can rent your private office at $800 per month. Find then at: 5307 E Mockingbird Lane, 5th Floor, Dallas. 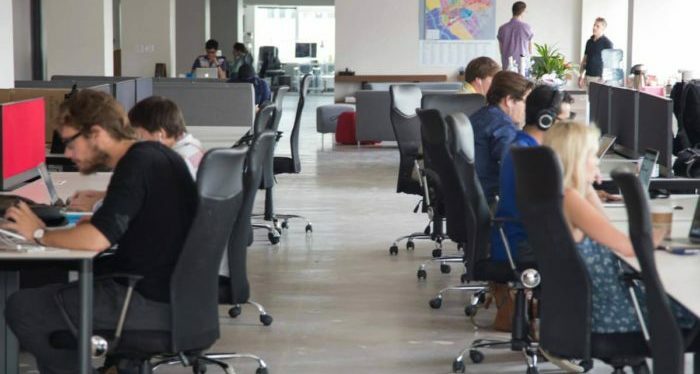 Dallas has been exremely adaptive to the new trend of working and hence a lot of coworking spaces are now a part of the city’s startup ecosystem. 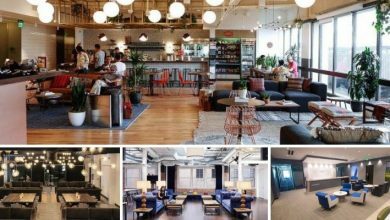 The demand for coworking spaces is rising and so is the supply. 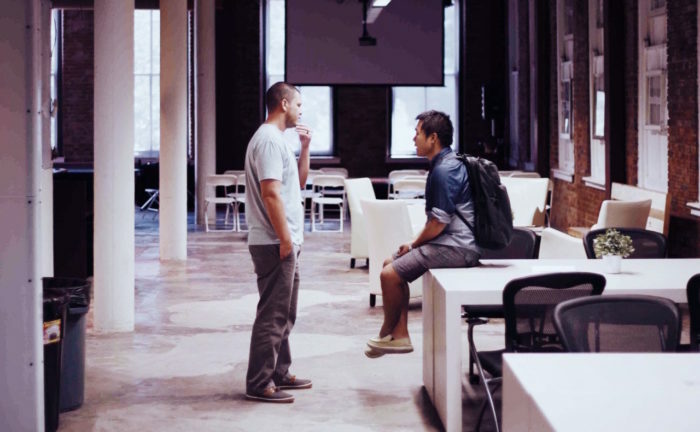 If you are thinking to join a coworking space, this is the right time. 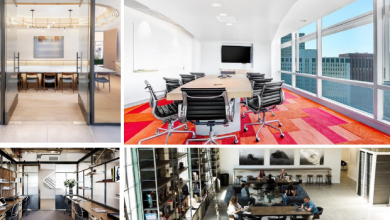 Choose one from ou list of best shared offices in Dallas above and get going.